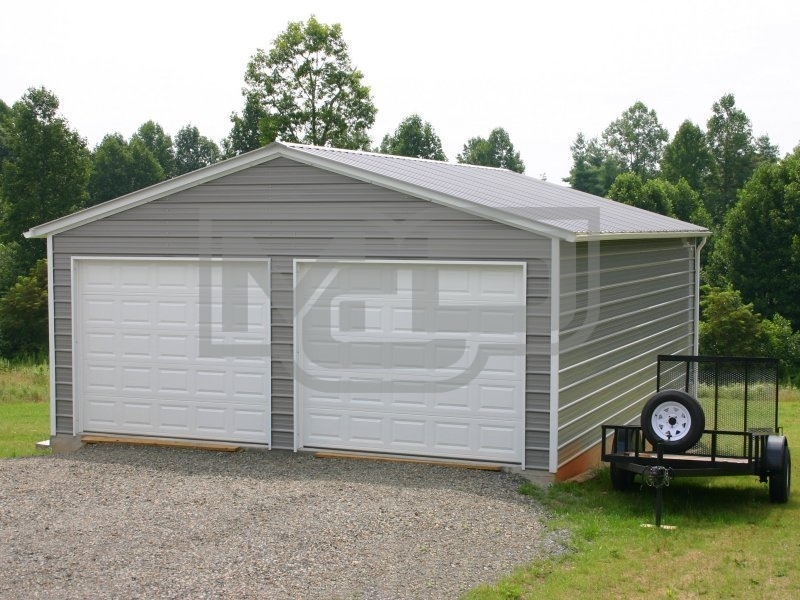 20' Wide x 26' Long x 9' High 2-Car Custom Garage with Vertical Roof System (Best). Be advised the customer installed the garage doors in this unit. We do not provide these types of garage doors. They are displayed to illustrate custom options that the customer can provide for themselves if they do not want the options that we provide. The cost of those options are not included in the price. Please call us and we will be happy to provide a price with our doors if you want them.